SHOULD YOU NEED ANY ASSISTANCE? 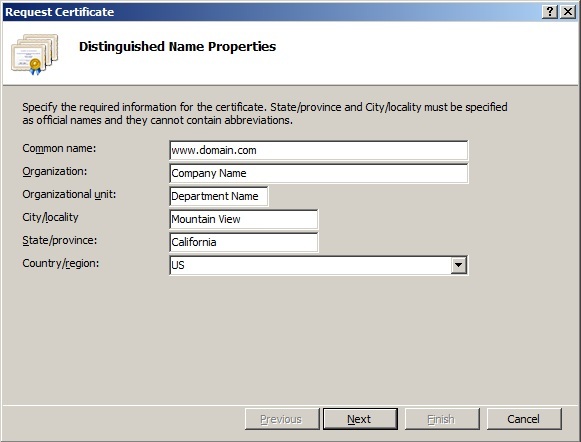 Do not use commas in any of the fields when creating your Certificate Signing Request (CSR). Commas are interpreted as the end of the field and will cause an invalid CSR to be generated. 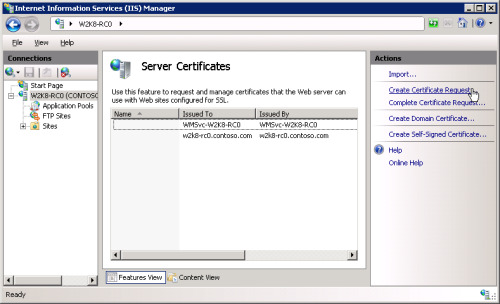 In the Features pane (the middle pane), double-click the Server Certificates option located under the Security heading. 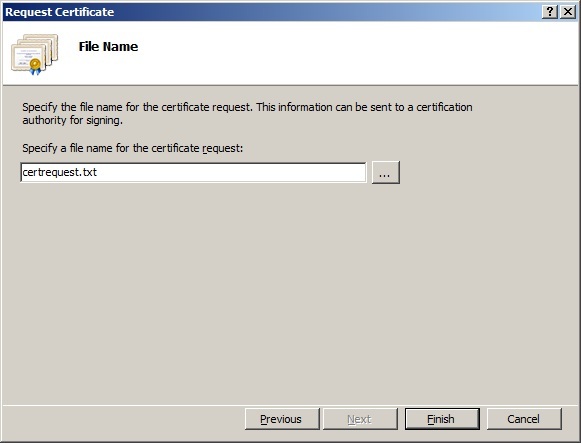 To begin the process of requesting a new certificate, from the Actions pane, choose the Create Certificate Request option. The first screen of the wizard asks for details regarding the new site. The common name should match the fully-qualified domain name for the site. Otherwise, provide information about your site, making sure to spell out the name of your state and locality. Select the cryptography options. 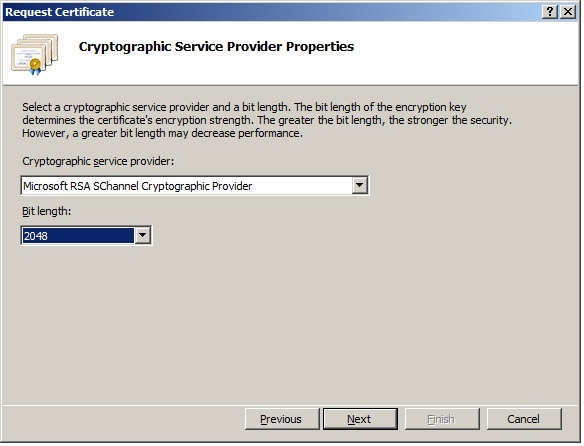 The default, Microsoft RSA SChannel Cryptography Provider is fine. Select a bit length of 2048. 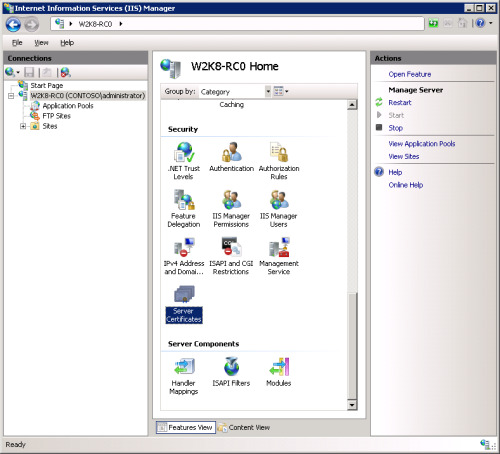 Provide a filename for the certificate request. The contents of this file will be required in order to complete the enrollment. 01. What is a Certification Authority? 02. What is a Digital Certificate? 03. What does a Digital Certificate contain? 04. What are Root Certificates? 05. How do I get a Digital Certificate? 06. Which Digital Certificates does Digicert offer? 07. What can I do with a digital certificate? 08. How does Digital Certificates work?